The story of Noah's ark is one of the most beloved Old Testament tales. The idea of a great flood that wipes out pretty much every living thing on Earth with the exception of those lucky pairs who got to live aboard a smelly, overcrowded boat for months is somehow so adorable that we put images of it on infant bedding sets and in ABC books. But if you really stop and think about it for a minute, the reality (or fiction, depending on what you believe) of such a scenario would be so extra-super sucky that if you went back in time and told Noah and his passengers that some day you were going to decorate your baby's room with adorable pictures of their voyage, it probably would be the only time the poor people had a good laugh for the duration of their entire ordeal. 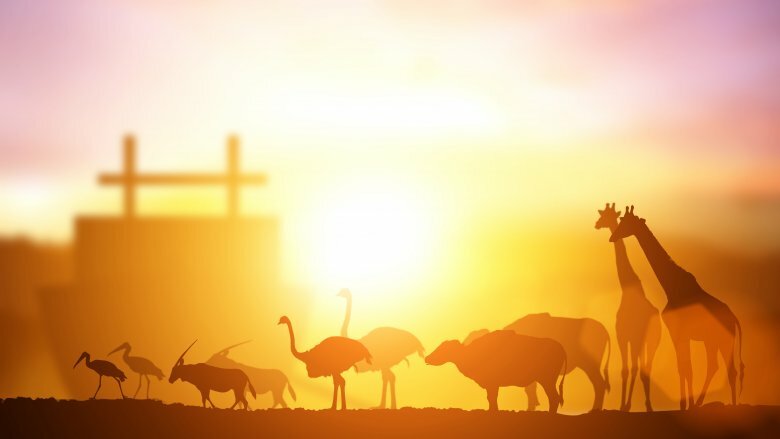 Still, people love to tell the story of Noah's ark, and there's a lot of still-existing controversy about whether it's totally true, based on truths, or pure fiction. So for the record, here's what we do know about Noah's ark, though none of it is really likely to settle the debate. One of the most famous supposedly-Noah's-ark sites is the admittedly very boat-looking Durupinar site in the Mount Tendurek area in Turkey. According to Atlas Obscura, the site was exposed in the late 1940s after a series of earthquakes and storms. What's odd about this place is how long it has persisted as "the remnants of Noah's ark" when it was excluded as a possible resting place for the famed ship during the first initial investigation in 1960. No evidence has been found that there is any ship there, nor has any actual petrified wood been located there, with the exception of a few fragments that probably arrived in a mudslide. The boat-shaped formation is actually just rock and hardened mud. It appears boat-like but contains no evidence of the timbers or iron fastenings that would have been used in a large boat's construction. Oh and by the way, all that petrified animal poop on the site really doesn't prove anything, either, because of the whole "animals have been roaming the world for millions of years" problem. So yeah, the Durupinar site looks impressive from a distance, but it's really just a very convincing coincidence. There is no boat or evidence of a boat on that particular site. 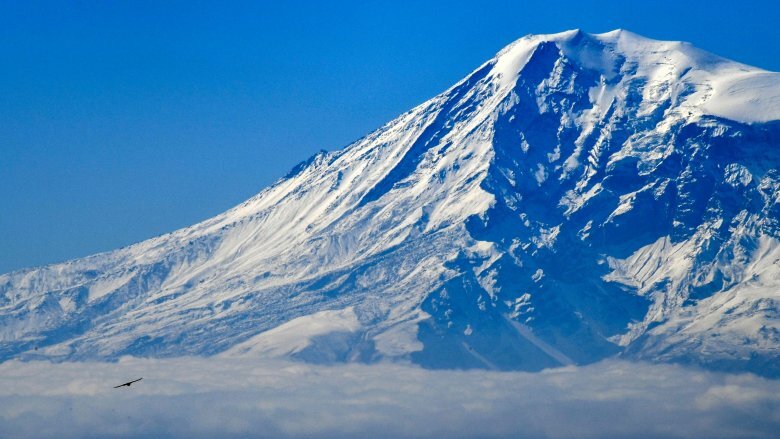 In 2010, a group of "evangelical Christian explorers" announced they'd located the remains of Noah's ark near the summit of Mount Ararat in Turkey. Now, we're sure the fact that they were "evangelical Christian explorers" in no way clouded their judgment when determining if the object they found was truly Noah's ark, but we'll let you be the judge. According to National Geographic, the team says they found a structure comprised of seven large wooden compartments. 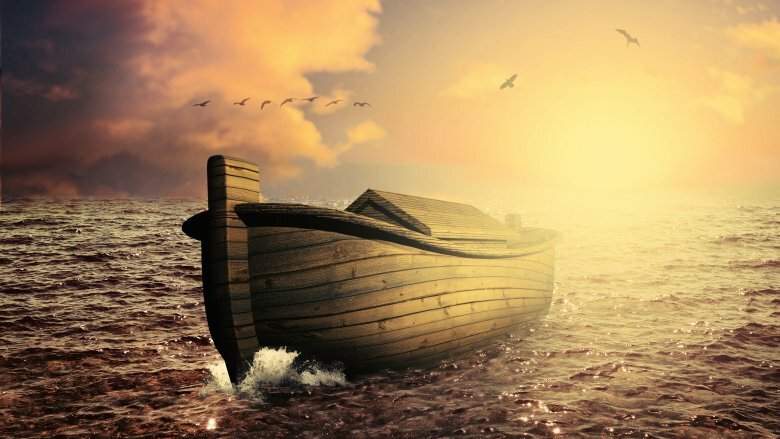 When they radiocarbon-dated the wood, they determined it was roughly 4,800 years old, which is precisely in the right range to correspond with the Biblical Noah story. Not everyone thinks that really proves anything, though, even if it's true. 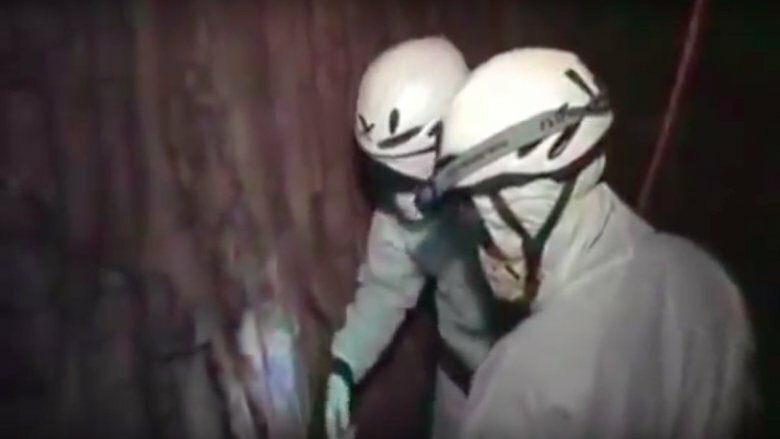 NBC News says the structure is more likely to be an ancient shelter than a giant boat. And it's also a problem when someone goes into that kind of expedition without an innate sense of skepticism. Stony Brook University archaeologist Paul Zimansky put it like this: "I don't know of any expedition that ever went looking for the ark and didn't find it." The real problem, though, is this one: In a world that's only just recovering from a catastrophic flood, where there are no trees, where do you find wood to build a house? Hey, how about that giant wooden ship over there. 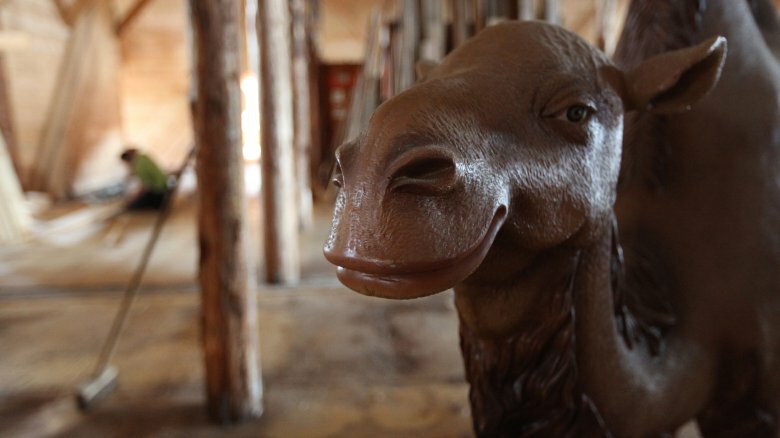 If Noah's ark really existed, it's pretty unlikely to have survived intact. So was there actually a flood? Tales of catastrophic floods are not just limited to what we've read in the Old Testament — as it turns out, there are a lot of very old stories about horrific, people-killing floods. And some archaeologists and geologists believe the stories might be based on things that really happened, however embellished they may have become over the years. 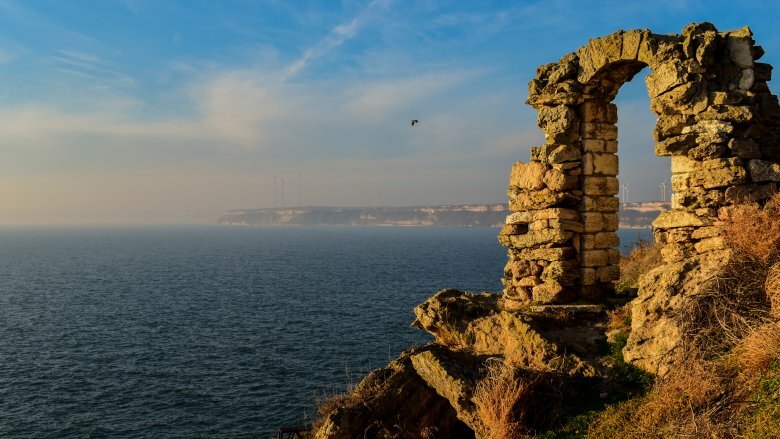 According to ABC, one such theory was put forward by two scientists at Columbia University, who believe the Black Sea was once a freshwater lake that became inundated by rising seawater from the Mediterranean. This wasn't just a gradual increase in sea level, either, but an "enormous wall of water" that came hurtling into the region with 200 times the force of Niagara Falls. In 1999, the theory attracted the attention of underwater explorer Robert Ballard, who you might remember from such historic discoveries as the wrecks of the Titanic and the Bismarck. 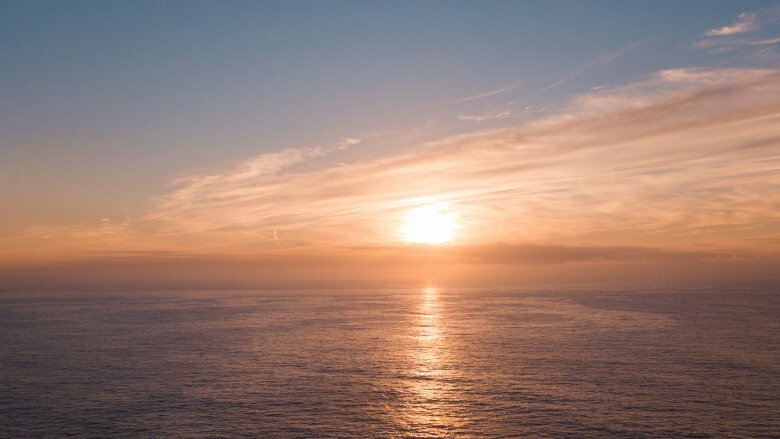 Ballard's team found evidence of an ancient shoreline 400 feet below the surface and determined through radiocarbon dating that the area was likely flooded during the time of the Biblical Noah. Ballard claimed to have also found structures in the area, but we really haven't heard much about the expedition since those first reports came out 20 years ago. These days, Ballard seems more focused on mapping the seafloor on the opposite side of the planet. In 1872 an Englishman named George Smith discovered a cuneiform tablet that told a familiar story — man meets god; god warns about a looming, epic, humanity-killing flood; man builds giant ship, fills it with animals and family members, and then survives the rising waters. According to the New Yorker, all the specifics were there, too, including the mountaintop the ship eventually landed on and the whole raven/dove incident. 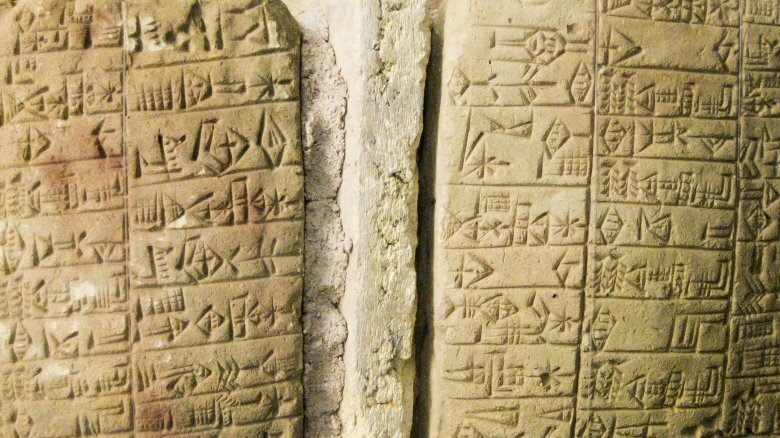 It's pretty clear that the Biblical story of Noah's ark and the cuneiform tablet version were basically the same story, though there were some significant variations. In the Mesopotamian version, it wasn't one god but the ancient Mesopotamian gods and goddesses who flooded the entire world and everyone in it. Also, the gods didn't decide to wipe out all of humanity because it had become all corrupt and unsalvageable, but mostly just because humans were vaguely annoying. So here's a tip: Don't do things that gods find annoying. Another thing the cuneiform tablets had in common with the Noah story is the building instructions — although the "ark" itself isn't constructed in the same way in each story, there are enough details and measurements provided that someone should be able to use them to construct their own vessel. You know, just in case God decides to pull that messed-up flood trick a second time. A lot of the debate about Noah's ark has to do with the amount of weight a ship that size could have actually supported. Obviously, it would have been hugely sucky if Noah had spent all that time building a ship and loading it up with animals and then it had sunk anyway because there were too many dang animals on board. According to the Telegraph, in 2014 a group of master's students at Leicester University decided to settle the question. They used the Biblical measurements to calculate the size of the ark, then they used the density of the water to figure buoyancy, and from there determined how much weight the ship could endure before sinking. Their conclusion: Noah could have put 70,000 animals onboard and the ship would have floated. There are issues with their conclusion, though. 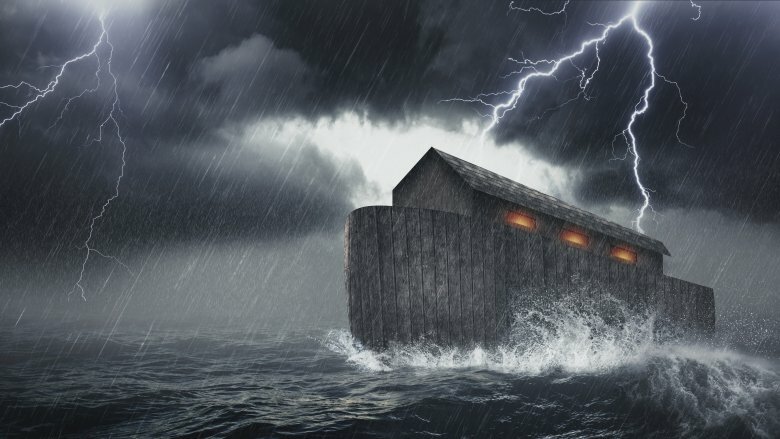 For example, the measurements figured on Noah's boat being so heavy that the water level would stop just below the top of the ship, which means it would have been pretty vulnerable to waves, especially the sorts of waves that were happening as the storm raged on for 40 days and 40 nights. And the study did not calculate things like the physical size of each creature, only its weight. But it did prove one of the larger questions about the feasibility of such a voyage. So hooray. Now those master's students can go back to questions that have maybe a little more immediate impact on us. One problem that believers in the Noah's ark story seem to avoid discussing is the whole issue of genetics. And it's a really big problem because as we all know just based on watching Deliverance, inbreeding makes for a terrible repopulation plan, though it's evidently quite good for learning to play the banjo. It's not just Hollywood and long-held social taboos and the overall ick factor that warns us against inbreeding — it's been scientifically proven to be a super, extra-bad thing. Even with eight people as a base, the gene pool would be too small to make world repopulation feasible. According to the BBC, you can look at history for an example of why inbreeding is bad. Charles II of Spain was so disabled he didn't learn to walk until the age of 8, and that's because of all the inbreeding in his extended background. The number of identical inherited genes he got from both parents was higher than if his parents had been brother and sister with a normal tree before that. So that explains why Joffrey Baratheon was such a jerk, but it doesn't settle the debate about Noah's ark for many believers. Because God, being God, could simply have provided each animal and person onboard with super genetics that would have erased the entire problem, thus making inbreeding a non-issue. (Which God would have already had to do for Adam and Eve anyway.) That doesn't make it any less gross, but at least the human race and every animal on the planet wouldn't be doomed to endlessly splash around in a dangerously shallow gene pool. The Bible gave very specific measurements for Noah's ark, which not only provided early readers with a solid set of details in an otherwise implausible story but also paved the way for giant replicas of Noah's ark at theme parks and tourist attractions, which we're quite sure is exactly what God had in mind when he laid down those very specific building plans. In 2012, a life-sized replica of the ark opened in the Netherlands and has been welcoming 3,000 paying customers a day ever since. 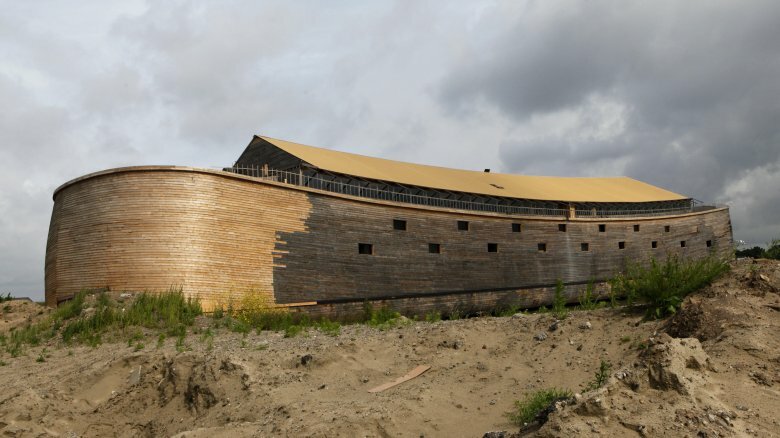 According to Today, the replica took three years to build and cost more than a million dollars, which is impressive when you consider that it took Noah around 75 years to build his ark, though to be fair he didn't have power tools, 14,000 Swedish pine trees, and tourism proceeds to help him out. And then Kentucky just couldn't resist getting on the bandwagonboat, and in 2016 a life-sized replica of Noah's ark called "Ark Encounter" opened in Williamstown. Inside the ark are exhibits that include, among other things, cages filled with dinosaurs. So if you're a science person, you might want to give that one a pass. When Bill Nye visited it, he warned that "every single science exhibit is absolutely wrong … not just misleading, but wrong." So there's this whole little thing called science that sort of gets in the way of the Noah's ark legend, and science is pretty sure that evidence for a catastrophic worldwide flood just doesn't exist in the geologic record. According to the Skeptical Inquirer, you can find evidence of drying in some parts of the world that correspond precisely to the time the Earth was supposedly completely covered with water. 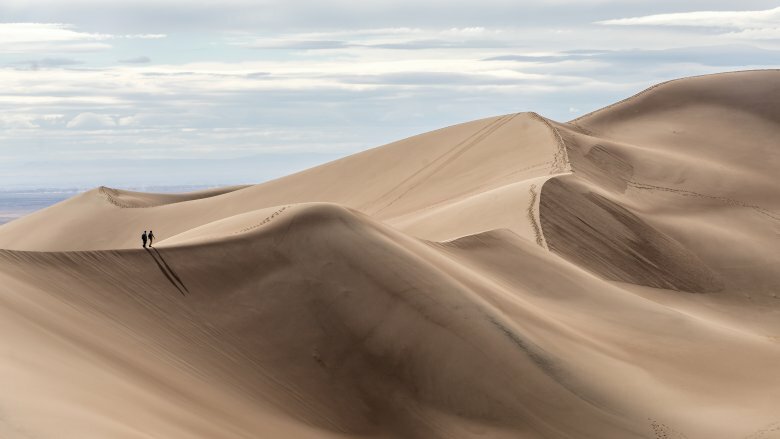 There are other examples, too — the dunes and other desert deposits that exist in various places on the planet would not be there if the world had been inundated by water. And if there had really been a flood that covered the entire world, most of the sedimentary rock on Earth would lie at the bottom of the ocean. But the continents are covered with sedimentary rock, which contradicts what we would expect if there were a flood 5,000 years ago. And that's just geology. 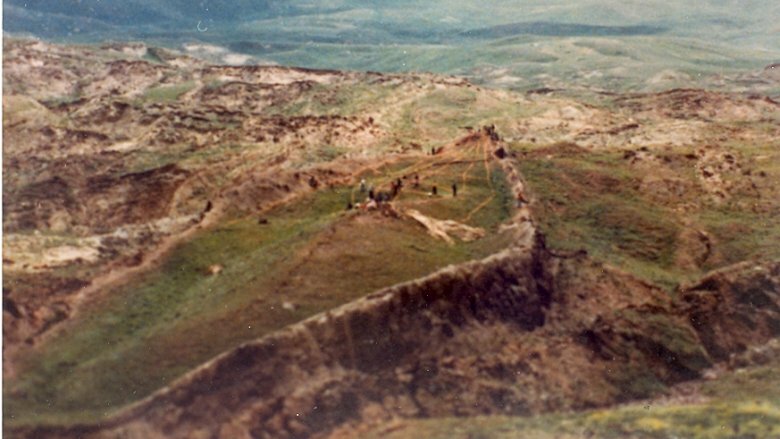 Archaeology is even more damning, especially when you look at Turkey, where the ark supposedly came to rest as the flood waters were receding. "We know what's going on with Turkey archaeologically at that time, and there's no major interruption in the culture," said Stony Brook University archaeologist Paul Zimansky. But believers take heart — divine intervention can counter just about any piece of scientific evidence. Dangerous hobbies aren't really anything new — lots of people climb mountains without safety gear, jump off cliffs wearing wingsuits, and participate in sports as nonsensical as extreme ironing. But when you combine dangerous hobbies with dangerous obsessions and a desire for discovery-related-fame, well, that can be fatal. Over the years, a lot of people have become obsessed with the idea of finding Noah's ark. Most of them have teamed up into proper, organized expeditions, which tend to be safer than traipsing off into the wilderness alone. But some people, like Donald Mackenzie, set off alone in search of the ark. According to the Irish Times, Mackenzie visited Mount Ararat (long thought to be the final resting place of the ark) several times, including in October 2010, and spent much of his free time lecturing other tourists about their godless activities. He also tried to convert the locals, which we're just guessing didn't make him very popular with the locals. Unfortunately, Mackenzie's obsession ultimately led to his disappearance and presumed death — on his way to see the site located by evangelical Christian explorers earlier in 2010, he got caught in an early blizzard and disappeared. No one knows if he died from a fall or exposure, or if someone from the local area got tired of his activities and murdered him. Whatever the case, this sad story doesn't necessarily warn against pursuing a Noah's ark obsession, but if you do, maybe you should just stick with Googling it. Okay, so what about the logistics? So maybe there was enough room for all those animals and maybe the ark could support all that weight, and maybe it somehow miraculously didn't get inundated by storm waters. But if it really did float for seven months, how was there enough room onboard for all the food necessary to sustain all those animals, and how did eight people manage to do the job of caring for them all? Anyone who's ever worked at a zoo can tell you that housing a bunch of animals in small spaces isn't just about throwing food at them and shoveling literally tons of poop overboard. According to the National Center for Science Education, each cage has to be specifically designed to meet the needs of each individual species, from the height of food and watering troughs to the diameter of the birds' perches. Also, the numbers don't add up. Most estimates place the total number of species on Earth at 8.7 million. Anyone who can do math understands there's a problem with those numbers, so people who interpret this story literally will often say that it was just "kinds" of animals, which gets you down to around 50,000. But then it's back to that genetic problem again — if God can redesign every creature to have unlimited genetic potential, why couldn't he just, you know, recreate every creature after the waters receded and save Noah and his family a whole lot of trouble? 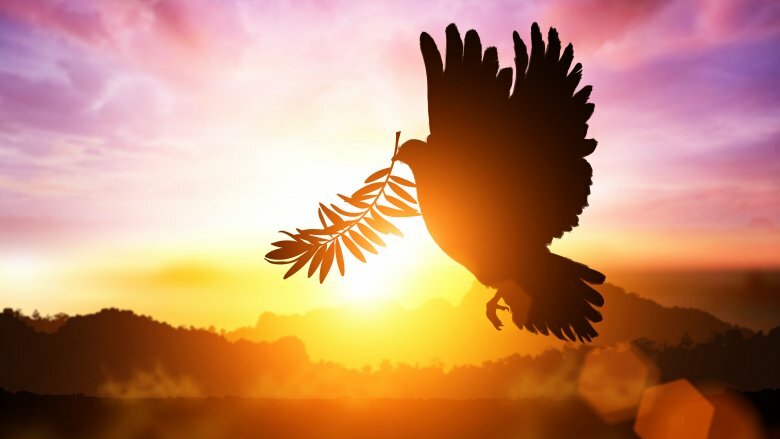 As the story goes, Noah found land with the help of a dove, who returned to the ark carrying an olive branch — proof that the flood waters were finally receding. But according to the Skeptical Inquirer, that story just can't be based on reality. In the Biblical tale, the ark floated for five months (depending which verse you read) before it came to rest at the top of Mount Ararat. But a 2016 study by Charles C. Munroe III found that an olive tree submerged in water for just three months died. Munroe did a couple other experiments as well, one of which showed that submerged grass died after just a month underwater. That would have left the herbivores with nothing to eat after disembarking. And Noah's vineyard — which he planted shortly after the flood — would also not have survived because the soil would have become too saturated with salty sea water. And that's just the botany part of the equation. What would happen if you released thousands of predators and thousands of herbivores back into the same environment? It seems like you'd end up with a lot fewer than two of each herbivore, unless you gave them a head start of a decade or two. So maybe one of God's interventions was animals that don't need to eat? That would certainly solve a problem or two. Anyone who has seen Waterworld knows that when the polar ice caps melt the world will be covered by oceans and everyone will live on implausible-looking boats and spend all their time searching for the mythical Dryland. Except no one actually saw that movie, so probably no one knows that. A Waterworld-like scenario would never actually happen, though, because there literally is not enough water on Earth to cover the entire world. According to the American Museum of Natural History, if all the ice on Earth melted, sea levels would rise about 230 feet, which would mean the end of most coastal cities but would stop far short of actually covering the entire planet. So if there really was a worldwide global flood, all that water not only receded but somehow also left Earth altogether. Although, the idea that God would just take back all the flood waters and store it upstairs in some giant, heavenly cloud-floating barrels is somehow more plausible than all that stuff about genetics, so that's probably the least of the story's problems.